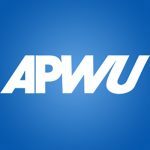 09/02/2016 – The APWU won an important arbitration case on Aug. 18, when Arbitrator Shyam Das ruled that the Postal Service violated the Collective Bargaining Agreement by notifying the union of subcontracting awards after they have been let. Arbitrator Das ordered the Postal Service to cease and desist from such violations and to comply with provisions of Article 32.2.B before renewing Highway Contract Routes (HCRs). “This is a significant award that will help protect Motor Vehicle Craft jobs,” said Director Michael O. Foster.